What is cognition? What is its place in nature? For about 60 years philosophers and scientists have been engaged in giving a naturalistic dress to the cognitive sciences arguing over the status of mental representations and computational processes. However, despite its great deal of success, the representational story is not the only game in town. Over the last decades, indeed, the idea that cognition should be described in terms of body-environment dynamics, rather than in terms of representations and computations, has gained an increasing consensus challenging a number of metaphysical and epistemological clichés. This book explains why and how we should find a place for cognition in nature. 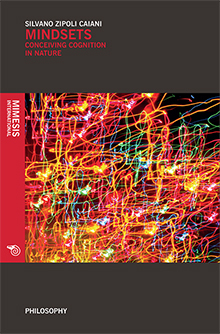 It offers a conceptual analysis of many subjects spanning philosophy of mind, philosophy of language and general epistemology, providing a comprehensive framework to understand one of the most exciting philosophical issues today. Silvano Zipoli Caiani is postdoc research fellow at the department of philosophy of the University of Milan. He has published articles on the philosophy of cognitive sciences, with a focus on the relation between action and perception.